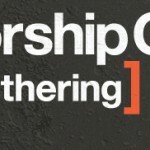 Why I’m Looking Forward to WorshipGod ’11! Wow thanks for the props. I think that you may be one of two people in the world who would rather sing me than Cowper. Thanks! Aside from recoiling from the horror of your title (tongue in cheek here as well), I wonder, then, what Cowper means by "Mercy" in v. 11 or "Grace" in v. 14. Or what "unbelief" looks like if the cross isn't assumed by this hymn. The purpose of "Light Shining Out of Darkness" isn't the salvation-historical unveiling of the mystery of Jesus. Rather, as I know you know, it is trusting in God's sovereign, mysterious providence during trials (of which Cowper suffered many). Your comparison with "Glorious Mystery" is off as that's not the right theme. Also, doesn't SGM do this as well? What about "Every Day," a song about trials (and better compared with the Cowper hymn)? No explicit mention of the cross there! I'm also quite hesitant to divorce the medium from the message. While I have no problem with simple or repetitious choruses, I do think that words like Cowper's match the transcendent value of the gospel in an unmatchable way (aside from inspired writings!). Cowper's hymns are brilliant in the respect for the English language, sublime in their descriptions of God, deeply theological, and come from a store-house of experience. While I love SGM ("Glorious Mystery" was the first I ever sung, at GFC, and it blew me away) they don't hold a candle to the greats like Cowper, Watts, Newton, Steele, etc in terms of lyrics, metre, sublimity, etc. So, that said, I conclude with a choral "raspberry" from both Jack and myself: "PPFFFFFFFTTTTTTTT!!!!!!!!" Obviously the title is meant to grab your attention. No one here thinks we should sing exclusively one over the other. What I'm hoping to get across is that simply singing using biblical themes veiled in poetic images isn't enough. We need to focus our hearts on the cross. What biblical theme doesn't find it's fulfillment there? Where do the New Testament authors focus our hearts when we need assurance of God's wrath, justice, love, mercy, providence, etc.? Ian, you're a theologian and a historian. You know Cowper's life and theology. You know what he means by 'grace' and 'mercy' and various other terms. This hymn is glorious, then, for your private meditations and devotions. 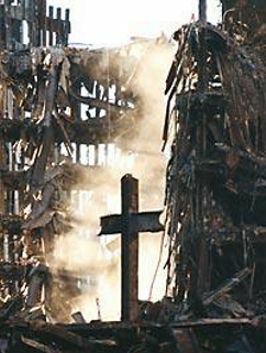 But what Joe Christian needs as he worships is to be pointed again and again with relentless force back to the cross. That's what the Bible does, and so that's what our worship music should do at its best. Oh come on, I've heard you expressly say that all songs pre-2004 shouldn't be sung (including SGM ones), and it came down through the grapevine to me that you believe that all forms of poetry is satanic (except for the ones you deem okay). I've even heard the rumour that you were planning to make the services at GFCE hip-hop oriented but you haven't found a live drummer yet. It's enough to make me go exclusive psalmody. Quite true. As I am reading Michael Lefebvre's book on the Psalms(Singing the Songs of Jesus http://www.amazon.com/Singing-Songs-Jesus-Revisit… I am getting more and more convinced that hymns (either by Cowper or Sovereign Grace) will inevitably have some loopholes which will affect some believers' conscience and they will not be sure of singing them. Good post, Julian. I have profited much from the Cross-centeredness of the folks over at SovGrace Music. Wasn't aware they had a new album coming out. "Singing Biblically faithful lyrics led by faithful followers of Christ." Amen. Beautiful. The thing I love about this standard is that it has nothing to do with style or "class" of song. Doesn't matter if the preferred format is hymns, choruses, modern songs, whatever – any style can fit in to this description. I would agree that Sovereign Grace Music puts out great Christ centered and Christ honoring lyrics but would not agree that the music of Sovereign Grace is better. An issue I have with the musical style of Sovereign Grace is that the music tries to be much to contemporary with the time in which it was written resulting in the music not have a timeless nature. This can even be seen and admitted by Bob Kauflin himself in hosting the recent King of Grace competition to rewrite the songs on the album recorded only ten years ago because the arrangements had become out dated. As soon as a certain sound or style becomes "cool" Sovereign Grace will use it and then drop it when it's no longer so. The goal of any song swriter should first be to honor Christ but then not serve the needs of a contemporary society by writing musical arrangements that sound like every other secular song on the radio. Rather, I believe that the musical arrangement should fit the lyrics and be written with them in mind. Keys, chord progressions, modulations, melodies, etc. following the message of the song. Admittedly, there are several hymns whose musical melodies and chord progressions are not very good, but there are several that we sing today which are timeless hundreds of years later. In order to make lasting contributions to the Christian music library, a music writer's focus should be on writing good music that will long out last the era in which it was written. Let me say now though that I strongly appreciate what Sovereign Grace has done in and for the Christian music community. No other group really does what SG does. We sing several SG songs at my church that I love and some I will always love, but writting timeless music does not seem to be the norm for SG. I agree with you Julian– in many, many cases, a Sovereign Grace or Getty or other new song or hymn is a superior choice to an older hymn. Cowper was, of course, a poet, and a poem, even one written by a Christian, can have a different intent than a hymn. There are, of course, older hymns that meet the criteria of a good hymn very well: A Mighty Fortress, On Christ the Solid Rock, etc. Which brings up another point, which is that some of the older hymns have less impact than the lyrics deserve because of their dated melodies or arrangements… which brings us back to the value of the newer hymns and songs. Looking forward to the second article Tim linked to with which I plan to vociferously agree. I attend a Sovereign Grace church, and, while I appreciate their music, I must humbly disagree. It is true that the lyrics are often wonderful, but I find that hymns are just as rich, if not richer, in their focus on the Cross, and also just SOUND better. Sovereign Grace songs all start to sound similar after awhile. One of the things I love about Sovereign Grace is that they're devoted to singing hymns and other music besides their own as well. The first Sovereign Grace CD I ever bought was 'Upward: The Bob Kauflin Hymn Project'. And then I really loved the recent (free!) 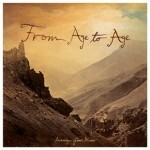 release of hymns re-recorded for the church by Covenant Life Church (https://noisetrade.com/covlife). They are cross-centred enough to know that there is a need for great worship music which points us to the cross, but humble enough to realize that they're not the only ones who have done this (and are doing this). I am thankful to God for SGM – the lyrics are up to date and understandable. Unfortunately – some classics have been ruined melodically and rhythmically. This tends to confuse things up for people who grew up with the original. When SGM's new melody isn't memorable, there is a lack of remembrance of the song altogether. I think there's good reason and warrant to let the classics who have stood the test of time to be left with their original melodies. Re-shaping those which have been forgotten but have rich lyrics should definitely be redone. But let the classic hymns live-on. just sing the Psalms and end the argument. Its for very reasons like these that bring the uninspired songs into dispute and doubt while at corporate worship that our forefathers in Calvin and the Puritans instituted Exclusive Psalmody. I see Christ in the Psalms much better and brighter than a hundred thousand contemporary songs with the stamp "Jesus" on them that truly sink my soul. Well given almost half the Psalms are songs of lament, I think we ought to be a little broader than that. It would be interesting to sing an imprecatory Psalm – not sure it's been done. That stanza's from me, not from Cowper, but if his or mine are worthwhile, they're really from the Lord. I’ve learned to enjoy Hymns (which were in fact, new at one time) – as well as more recent compositions (which some call merely ‘contemporary’ – I guess time will tell?). What I have enjoyed so much about this discussion – having just discovered it, 9 months after it was written – was how much I agree with you all. Heaven is going to be Fun, Awesome, more Amazing than any of us can Imagine – each of us individually will be able to Sing New Songs – Our Creator God (who created new and wonderful things) – has unlimited Creativity, as will we. I’m thrilled to know, and am brought to tears about the Amazing Love that God has for us, when I hear it expressed in New ways. I’m almost suggesting that “old hymns” can become a “well-worn rut” – where we mindlessly chant the words to a tune that we’ve sung hundreds of times since our youth. I do still enjoy some of the old hymns (particularly when we’re given the opportunity to actually sing ALL that the author originally wrote). But, when I hear something unusual, something different, I’m required to pay attention, to actually read the words – and to decide on the spot whether or not I agree with them. With SG’s Music, I’m frequently blown away with the same truth that I’ve always known, expressed in a new way – which in our own tiny way, mimics our Creator’s Creativity. I sometimes like the new car; explore the glovebox, the buttons on the ceiling, the handling, the smell. But, I also like the trusted and well-known handling and performance of my 15-year old car, which after 200K miles, faithfully and reliably carries me to work each day. I like them both, and I revel in God’s creativity, as I do in his giving us a little creativity in worshiping Him. Great observations, Ed! Thanks for contributing to the conversation!